ELB Equipment is a leading supplier of underground construction machinery in Australia and New Zealand. They are the official distributor of Ditch Witch, and even though these machines represent some of the smaller-sized products in their quiver, they are one of their biggest brands heavily rooted in the company’s DNA. 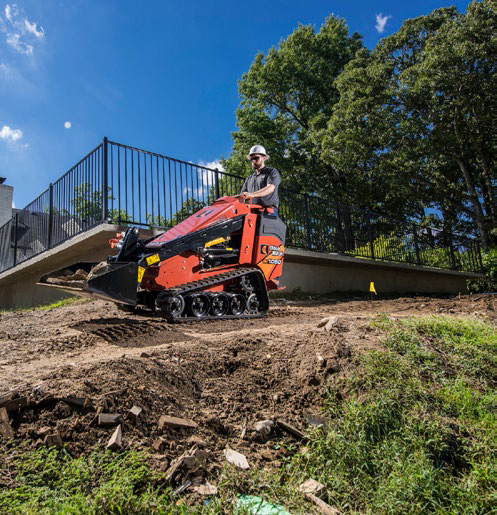 With trenchers, directional drills and mini skid steers perfect for landscapers, it’s time to dig a little deeper into ELB Equipment and Ditch Witch. Edward L. Bateman (ELB) was an American mechanical engineer who emigrated to South Africa over a century ago to acquire a distribution company that supplied equipment to mines. Starting off as a one-man band, by the 1950s ELB Group is now a well-established public-listed company and supplier of top products to ever-growing infrastructure, mining, processing and construction industries. It was around this time that a game-changing new player entered the scene. Another American mechanical engineer by the name of Ed Malzhan saw that there was no compact equipment for installing residential utilities in suburban streets. Instead, workmen had to laboriously plow trenches by hand. So, in 1949 he invented the world’s first service line trencher, giving birth to his brand, Ditch Witch. 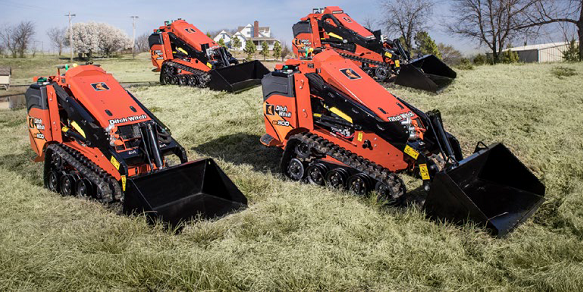 Ditch Witch and ELB were made for each other: a new brand with its revolutionary line of engineered machines and a powerful distribution force with major connections in the industry. Both companies’ blossomed together and have grown in their own right. ELB Equipment has expanded to offer a full suite of other underground construction products, from tunnelling to vacuum excavators and pneumatic piercing tools. The brands under their belt now include Hammerhead, Subsite, American Augers, Trencor, Akkerman and more. 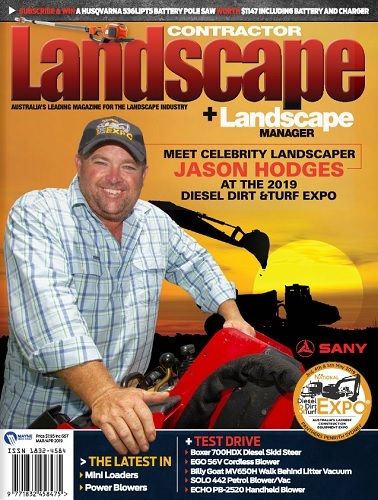 But still, Ditch Witch remains their pride and joy and is deeply engrained in the business, made all the more evident by hearing from ELB Equipment’s Australian and New Zealand Managing Director, Christopher Malan, who is based at their Head Quarters in Sydney but has an interesting background. That’s not to say the brand hasn’t broadened its scope. A natural progression for Ditch Witch was to come up with yet another solution to help install residential utilities in a modern world where so much heavy infrastructure is now networked underground. And so in the 1990s they began manufacturing unique, compact, horizontal directional drills. And just as they are with trenchers, Ditch Witch is a pioneer in the HDD industry. They’ve set the standard and popularised a wide range of mobile drilling tools for efficient installation of utility pipes, cables, wires, watering and irrigation systems. ELB also distributes Ditch Witch mud systems and vacuum excavators, but of most interest to landscapers is their range of influential mini skid steers. Extremely compact and highly versatile, Ditch Witch’s stand-on, tracked, mini skid steer loaders pack a hell of a punch. As with all Ditch Witch products, these machines are built for heavy-duty operation, while the construction-grade design improves durability and longevity. With four models on offer, they range from the standard 25-horsepower, small-scale SK600, all the way up to the gutsy, 44-horsepower SK1550 model, which boasts a whopping 700kg operating capacity. This is made even more impressive by the transparency in their rating system, which really sets them apart. “When it comes to specifications,” Christopher pointed out, “a lot of manufacturers will say their machines can do this thing this fast, this thing this hard, has this much torque and so on. But that measurement is based on only doing one of those things at a time. In reality a machine needs to be able to do that thing whilst also doing all the other things at the same time. If Ditch Witch is going to quote you a spec, all of those things have to be able to work simultaneously, or else we’d be dumbing down the spec. So what that means is if you buy a Ditch Witch machine it’s going to over perform expectations, rather than under perform for you.” on hand. Christopher calculates there being around 65 full-time employees working at ELB Equipment, and for him these people are as key as the products the company distributes. Currently investing more into trade industries and with a heavy focus on improving the needs of landscape contractors, ELB Equipment has established a relationship with Kennards, making their dexterous Ditch Witch Mini Skid Steers now easily available for hire.